Written by a quantitative psychologist, this textbook explains complex statistics in accessible language to undergraduates in all branches of the social sciences. Built around the central framework of the General Linear Model (GLM), Statistics for the Social Sciences teaches students how different statistical methods are interrelated to one another. With the GLM as a basis, students with varying levels of background are better equipped to interpret statistics and learn more advanced methods in their later courses. 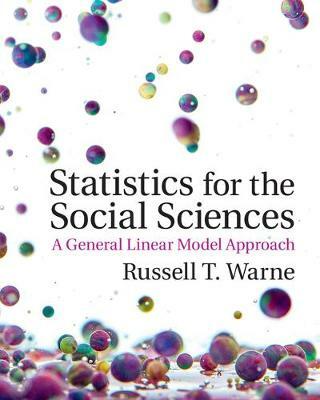 Russell T. Warne makes statistics relevant to students' varying majors by using fascinating real-life examples from the social sciences. Students who use this book will benefit from clear explanations, warnings against common erroneous beliefs about statistics, and the latest developments in the philosophy, reporting and practice of statistics in the social sciences. The textbook is packed with helpful pedagogical features including learning goals, guided practice and reflection questions.